Head on over to your local Lego Store to let your child build a FREE Lego Mini Model! Once your little one is done building, they get to take the model home for free! Lego offers these events every month. What a fun family activity! Children must be between the ages of 6-14. 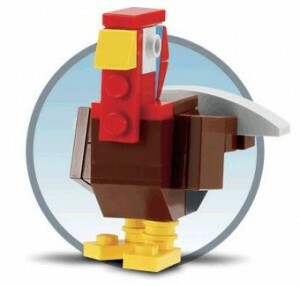 For the month of November , the model is a Mini Turkey. What a great Thanksgiving themed model!